Since my book takes place on Earth, couldn't think of ten reasons to live in outer space. But I researched a lot about aliens, so hope this is an acceptable, fun Top Ten for you! While writing Starseed, the story of sixteen-year-old Kaila who is half-human, half-extraterrestrial, I did a lot of research on aliens. Kaila falls in love with Jordyn, who is also a hybrid, but was raised far from Earth. He, and his alien “hive” quietly invading the high school, personify alien traits from my research. Starseed features a few types of “known” aliens but with such a huge universe, there are bound to be unlimited forms of life. Here's a Top Ten Types of Aliens, with apologies if I left out your favorite ET. 1) Grays. The most commonly encountered aliens. Though there are variances on grays (from mushroom white skin, brown and even black), those with gray leathery skin are the most often seen. About 3 ½ feet tall, with large heads, black eyes, slits for noses and mouths, Grays appear in Starseed, too. They work in league with the hybrids invading a high school and why they’re here is explained. 2) Hybrids. Both Kaila and Jordyn in Starseed are hybrids—they have alien DNA mixed with human. Most hybrids look human and you wouldn’t suspect that they’re here on Earth. That's the way they like it and what the hybrids are doing in Starseed . . . . Hybrids are extraordinarily intelligent. Kaila and Jordyn are telepathic and possess heightened mind abilities over “normal” students. 3) Reptilians (Alpha Draconians). You don’t want to run into a Reptilian. You’re but an animal to them. Extraordinarily intelligent, telepathic, shapeshifters, reptilians can disappear into another density in a flash. They use the Grays to do their bidding. The Reptilians appear in Starseed, and provide a good scare. 4) Nordic. Humanoid ETs that resemble Scandinavians (blonde, occasionally brunette). Some say Nordics are from the Pleiades, Vega, or Hyades. Telepathic and telekinetic, the most common encounters are tall, blonde and male. 5) Pleiadians are highly evolved, spiritual and benevolent, aiding humans to raise their consciousness. Priscilla, in Starseed, personifies this benevolent ET and seeks to help Kaila through her awakening and trials… These types of aliens exist in higher dimensions than ours. 6) Arcturians. Said to be one of the most advanced civilizations in this galaxy. Arcturians preach “love and light” and telepathically message people to overcome negativity, fear and control. Love is the answer. 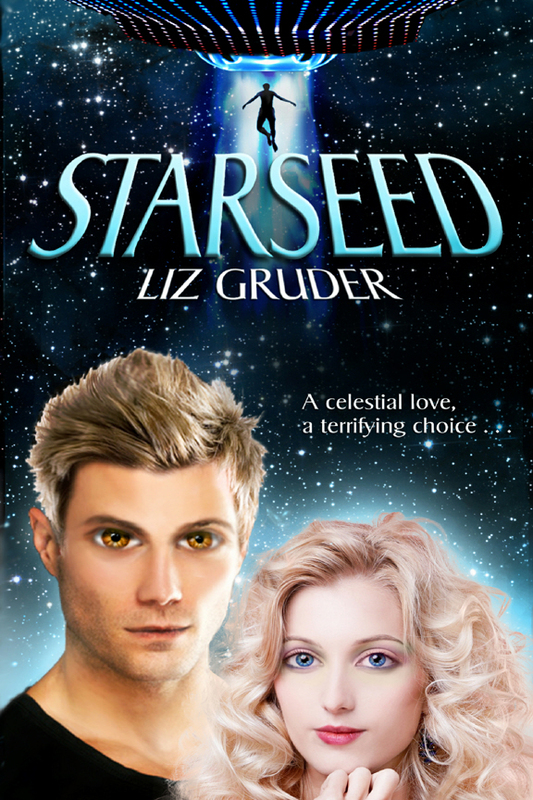 When there's bullying in high school, as in Starseed, the haters need to get a dose of Arcturian love. 7) Sirius. Spiritual warriors, Sirians are said to have a strong connection with dolphins and whales. Sirius, a double star system in the constellation of Canis Major, was known to the Dogon tribe in Africa. Their mythology said they had contact with ETs and they knew of Sirius B (the second star) without technology. 8) Andromeda. Fun loving, gentle, and giving, the Andromedans are benevolent aliens. Telepathic and empathic. Said to have blue skin. The Hopi Indians talk about a race of blue-skinned star warriors. 9) MIB. The Men in Black, popularized by the movie, are said to be middle-aged men dressed in black suits, black hats and sunglasses. 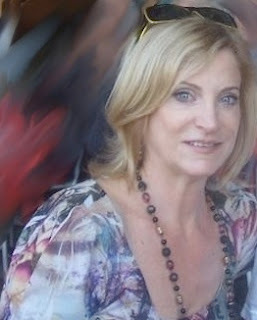 They often appear after a UFO sighting or alien encounter and intimidate people not to talk. With mechanical behavior and a monotone voice, it’s said they could be robots or androids working to protect the presence of ETs. 10) Starseeds. A Starseed is a person whose soul or consciousness has originated from another galaxy or planet. Their mission to help people to evolve and grow here on Earth. Some call them Lightworkers or Indigos. Most are empathic, strong-willed and shake their heads at most Earth institutions and customs. Highly attracted to the stars, often creative and intelligent but not in a "school" sense. 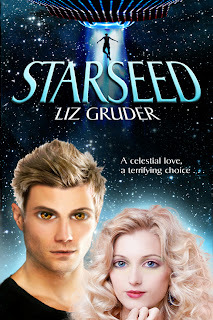 Like the Science Channel’s motto, they “Question Everything.” My book Starseed, uses the term loosely, as Kaila and Jordyn are biological hybrids. 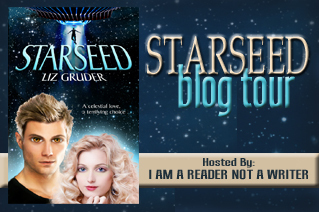 In Starseed, Kaila encounters various types of ETs, and learns her own powers. While falling in love, she's forced to understand who she is, why she’s here, and make difficult choices.